With Carli's 2014 Ram 2500 kits just around the corner, we wanted to share with you guys a project that we've been working on. 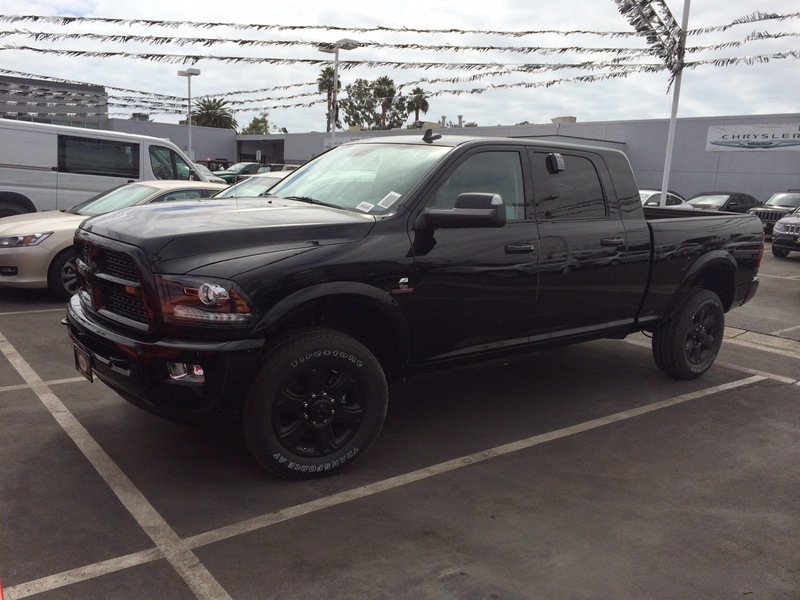 A good friend of ours recently picked up this 2014 Mega Cab Laramie with the Black Appearance Group Package. It is a 2500 with factory front radius arms and rear coil springs. After riding in some of our shop trucks, he wanted a setup that offered significantly improved off road performance while maintaining street ride quality since the truck is a daily driver. Hands down, we recommended the Carli 2014 King Pintop 2.5 suspension system. While Carli was finalizing their R&D process, we began to accumulate parts. We were happy to wait as this system has been tested, retested, and then retested again to ensure the absolute best in geometry, ride quality, longevity, and off road performance. For wheels and tires, we selected Trail Ready 20" simulated beadlocks. Trail Ready wheels are made in the USA and allow custom backspacing selection. For this truck, we chose 5.5" backspacing as it is, in our opinion, the best balance between suspension and fender clearance. For tires, we opted for Toyo's Open Country R/T 37x12.5R20, as these tires are E rated and offer similar longevity to Toyo's M/T tires without the weight. Here is a picture we took after picking up the wheels from the powdercoater. This powdercoat features 2 stages of base coat and 2 stages of clear. For lighting, we wanted a setup on par with the suspension and wheels/tires we used on this build. Baja Designs lights are made in the USA and, based on every lighting combination we've experimented with, are the brightest and highest quality available. We chose a Baja Designs 30" OnX Arc bar mounted between the tow hooks using CJC Off Road brackets as well two Baja Designs Squadron Pro lights per fog light opening. 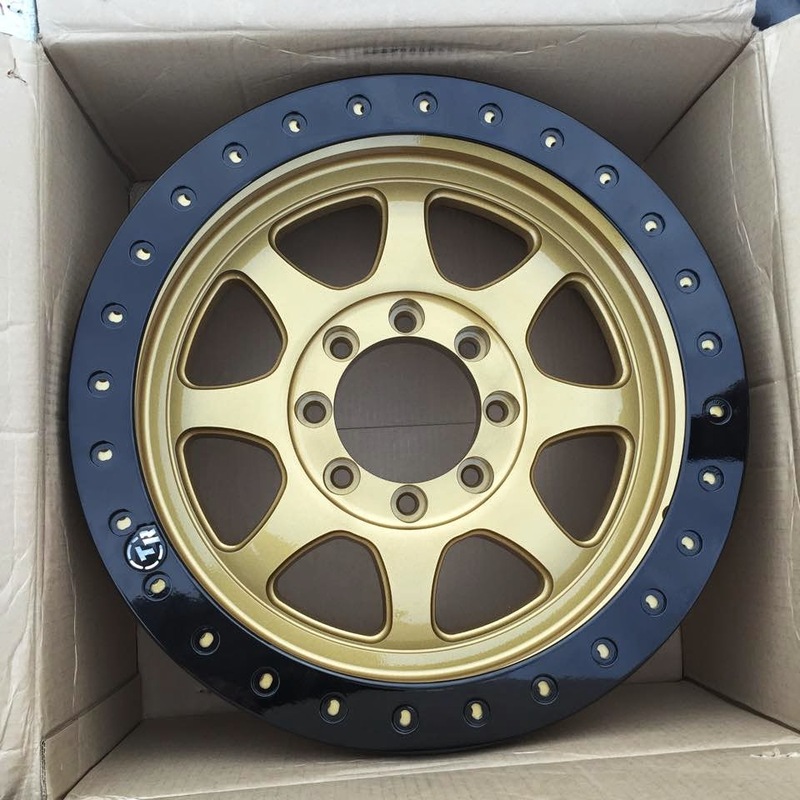 We had the light bezels powder coated in the same coating as the wheels. Here are more parts engineered specifically for the 2014+ trucks. Check out the new track bar, 2014+ Diff Guard, and Torsion Sway Bar End Links! This shot shows the rear heavy duty sway bar end links, something completely new for these 2014 trucks. While test driving this truck with the new suspension, the rear wanted to stay planted at all times, keeping the truck composed over the largest dips and bumps we could throw at it. Rear coils are multi rate, allowing for a plush ride while ramping up to a stiffer rate when when the truck is loaded to retain towing capacity.